An innovative programme have been launched in Similipal Tiger Reserve namely ‘Friends of Similipal Tigers’ since July,2012. In this program, the school and college students having interest in tigers in villages and townships around the Similipal were invited to join as volunteers through an application forwarded by their respective principals. 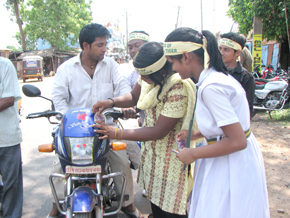 Initially, applications from 300 students from institutions around Baripada were received. 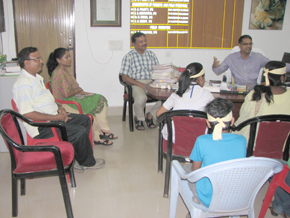 Then the students along with their teachers were called for an introductory meeting on 2nd September, 2012 in which a thorough interactive discussions were held on food, biology, home range, and threats to Similipal Tigers. Subsequently, a selected 43 students were taken for a field trip inside the TR for an on the spot realization of problems of encroachment, habitat and prey base of tigers. The basic objective of having a cadre of volunteers of young students is to support the conservation efforts of TR authority in future. 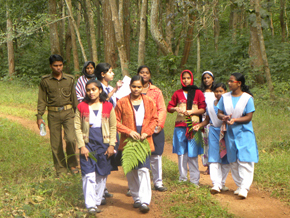 They in turn are to act as nuclei for educating the villagers, parents and colleagues in their own villages and homes about the need to protect the charismatic animals which abound in plenty in Similipal but are facing threats. This programme has evoked very positive response from students and teachers as well. Efforts are on to involve as many students and teachers as possible from the educational institutions in and around a radius of 5 km from the boundary of STR within next one year. 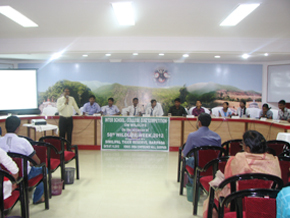 Debates, Quiz, poetry, essay writing and painting activities based on wildlife and forest of Similipal are being organized on the occasion of wildlife week and the winners rewarded.